Visit us at the gardens! 547 Hanson Drive in River Falls WI. 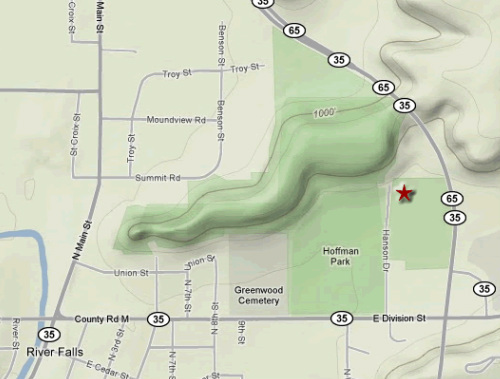 We are on city property, east of Hoffman Park and north of the First National Bank Stadium in River Falls, Wisconsin. Click HERE for directions. Join our email list to get updates and hear about Grow to Share events and activities. We do not share your email with other organizations.